I’m recently back from Genghis Con, which is up in Cleveland Ohio. This is a small, independent alt comics show I get to go to every other year or so. The exhibitors mostly felt young and new. I didn’t recognize hardly any of the folks in the room, although a few familiar faces (Patrick Lay, Ken Epstein) are familiar faces in the Ohio alt comics circuit. This is a flea market event – free to the public, and bring your wallet. There’s a taco truck outside, but no programming. I had some interesting conversation with Tom Spurgeon, of CXC and Comics Reporter, about the state of the medium in 2017. We talked about the comics scene over the past 25 years, where artists were at then, and where they are now. There’s a clear issue of available resources and lack of structural support that plagues the form. That artists are likely worse off in 2017 than they were in 1994 is telling, despite the “New Golden Age” we are living in. These problems are not addressed in any meaningful way in a show like Genghis Con; this is a sales event, no more or less. I find it more and more troubling that alt comics uses the flea market as its major people facing event. That’s a feeling that has not gotten better over 2017. I’m not certain what I do about that – what is the critics’ role there? I have a lot of unresolved questions about the responsibilities of the hangers on, the folks peripheral to the act of making art, and Genghis Con and shows like it aren’t going to be what resolves them. 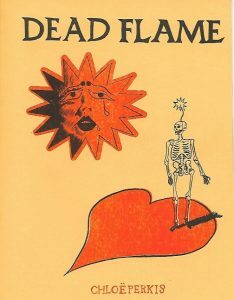 Dead Flame by Chloë Perkis – Chloë Perkis is a Chicago-based artist. The two books she had of her own work were both from Bred Press, a Chicago micropress run by Brad Rohloff. Perkis’ comics are intense ruminations on sexual desirability and failed relationships. Dead Flame specifically uses repeating images of a stylized version of Perkis herself, pushing and pulling flesh, applying or stripping away makeup, hair writhing and snake-like. The drawing is visceral and claustrophobic, delivering an intense feeling of being constrained. Perkis’ work manages to be both intensely angry and intensely sad. These comics are a visual onslaught, intensely powerful, and a highlight of my show. 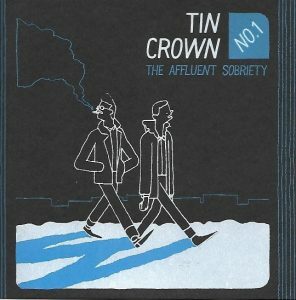 Tin Crown #1 – The Affluent Sobriety by Bobby Sims: Bobby Sims is a new face to me, but he has a screen printing and risograph studio based in Chicago called Cul de Sac Press. 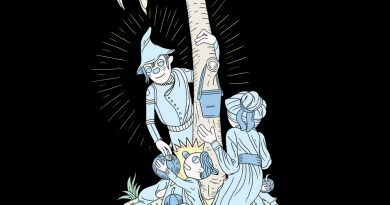 Tin Crown is a series of surreal autobio comics that uses a two-tone palette in a smart way. If I’m being honest, a lot of the risograph comics I’m seeing right now tend to blur together, but I walked away from Sims’ work impressed with the way Sims uses character size and color choices to explore some of the more subtle relationships between characters in the work. There was some social commentary in The Affluent Sobriety which was unexpected but welcome. 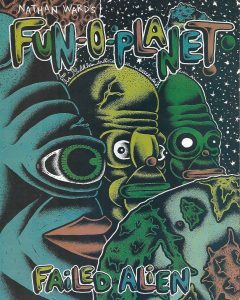 Fun-o-Planet: Failed Alien by Nathan Ward: Ward is a cartoonist whose work I’ve been following since his participation in The Weakly Collective’s Weakly Comics Xtra Large Annual which came out last year. 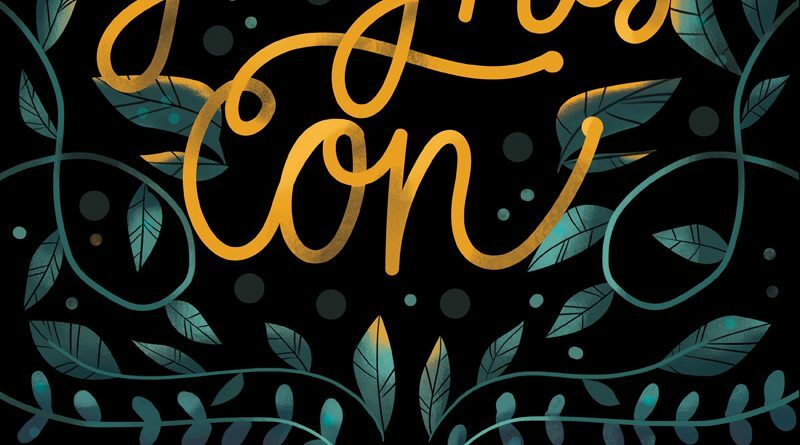 Ward works in a really dense style that uses heavy inks and grease pencil to add a lot of depth to his work. He uses a four color palette to break up the page and make it easier to read, but the colors wash out the work. I’d like to see more of his work without color – he had some originals in black and white which were stunning. Fun-o-Planet: Failed Alien was a strange gross-out alien abduction story which is quite a bit tamer than some of the underground stuff these comics are predicated on, but the joy of the work for me is Ward’s mark making. November and December are a time for reflection and preparation, but it’s nice to have Genghis Con as a moment to greet one another in thanksgiving and the hope of a new year. 2017 has been a hard year, and I’m unsure if things are going to get any easier. But for now, we have this. Goodnight, goodbye. See you soon. Support Sequential State on Patreon. You’ll be glad you supported independent, thoughtful comics criticism, and the cartoonist community through our illustration program. Thanks!